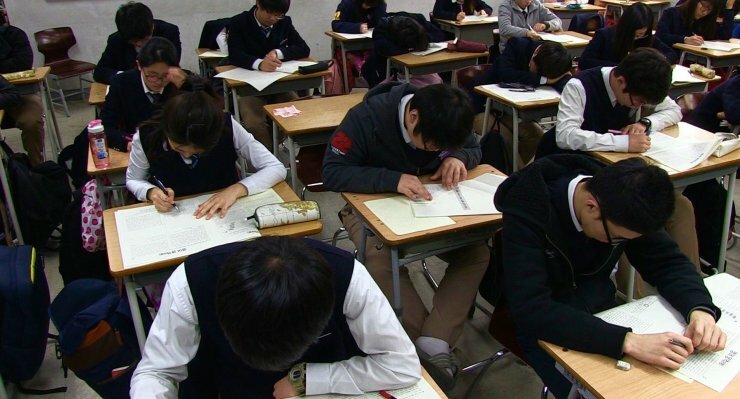 Every year, Korean high school students undertake the infamous ‘Suneung’ exam – a gruelling series of college scholastic ability tests that will determine which university they can attend, the status of which in turn will dictate potential opportunities that will arise in later life. The most prestigious and highly sought after institutions are Seoul National, Korea, and Yonsei universities which form the an acronym SKY, respectively, with students often resorting to extreme measures in order to achieve enrolment. Documentary Reach for the SKY follows a selection of students on their quest to be in the top percentile and fulfil their ambitions. One of the most well-received Korean independent films at Busan Film Festival earlier this year, documentary Reach for the SKY is an engrossing exploration of the inordinate amount of pressure caused by the infamous Suneung exam as well as the cultural phenomena that has spawned in its wake. Directors Steven Dhoedt and Choi Woo-young wisely avoid taking a stance on the issue yet emphasise the burdens, profiteering and fervour with impressively subtle irony, which will likely mean little to native Koreans but will resonate strongly with audiences unfamiliar with the country’s harsh education system. 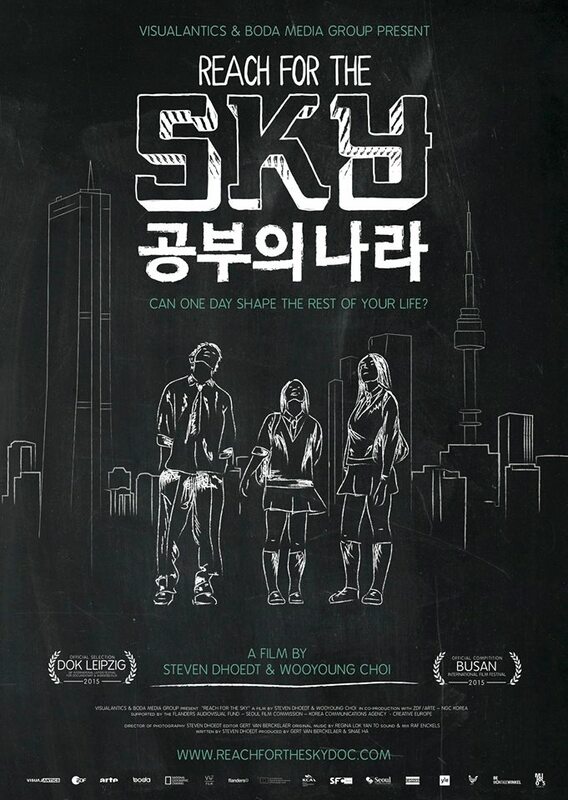 Filmed over the course of four years, Reach for the SKY follows a well-chosen selection of students at various stages in their academic careers as they attempt to pass Suneung exam, and through their experiences directors Dhoedt and Choi reveal an array of startling cultural facets with keen insight. Whether the subjects are taking or re-taking the infamous test, the co-helmers broaden the perspective to capture the unique contexts within which the students operate, and in doing so the pressures from parents, teachers and wider society are revealed to fascinating effect. Of these, the individuals and institutions that profit from the anxieties surrounding the exam are given focus, notably the celebrity teachers and boarding schools that have arisen as a result. The directors brilliantly capture the startling quasi-pop star status of a teacher as he lectures on stage to a sold out auditorium full of eager teens before driving home in his BMW, scenes which are effectively juxtaposed with a boarding school more akin to a juvenile offender prison than an academic organisation, and religious institutions that depict the fervour of acolytes as they speak in tongues. In each case, directors Dhoedt and Choi lace the images with a wonderfully cheeky sense of comedic irony that helps to offset the rather astonishing nature of such scenes. The instances where the wealthy celeb-teacher actually fails to speak/write English correctly particularly resonates, while the poor English signs at the boarding school, the mean parents/teachers who receive angry disapproving looks from students, the annoyed Buddhist monk who is handed a list of hundreds of students to pray for, all combine to underscore gentle and playful criticisms of the education system. Arguably the most potent form of critique is the manner Reach for the SKY intermittently incorporates quotations from the Analects of Confucius, an ideology which still holds powerful relevance in contemporary Korean society. Through citing such Confucian texts, followed by sequences revealing how the education system has evolved in an alternative direction, the implication is clear – teens are studying not to be enlighten but to be assessed, and their suffering is very real. Reach for the Sky is an impressive documentary exploring the infamous Suneung exam. Directors Steven Dhoedt and Choi Woo-young insightfully capture the stresses endured by students generated by the harsh education system and wider socio-cultural facets, often with wonderfully cheeky irony that serves to gently critique the entire phenomenon to fascinating effect.